Of the 13 shots that struck the 26-year-old as he stood outside an apartment complex near Memorial Coliseum, at least three could have been fatal – but it's nearly impossible to determine which killed him because he had been shot so many times, a forensic pathologist testified Wednesday. Dr. Scott Wagner said one bullet passed through Burnett's neck, severing his spinal cord. Another pierced the man's heart, and a separate shot bore into one of his kidneys, he said. Burnett would have died “very quickly, within a minute or two,” Wagner said. The man who drove McNair to the complex testified in Allen Superior Court that he thought they were going to buy marijuana. Instead, Joshua Smiley said McNair gunned down Burnett, quickly got back into the silver car and tossed bullets from the murder weapon out the window as they sped away from the scene. 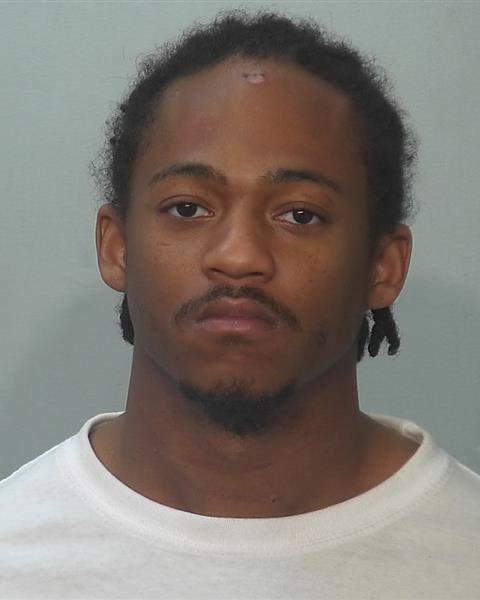 Smiley, 21, had been charged with murder in the case but pleaded guilty last week to a lesser charge – assisting a criminal – as part of a deal with prosecutors that also included testifying against McNair. He called McNair and Burnett friends and said the murdered man was killed by McNair, who was using a gun borrowed from another man. “You know your buddy has just killed somebody, right?” Allen County Deputy Prosecutor Tom Chaille asked, referencing the day of the slaying. Smiley nodded his head and said “yes” as McNair, dressed in a white shirt, a vest and a striped tie sat nearby. Three other witnesses – all residents of the apartment complex – testified they saw a silver car and heard screaming and gunshots the morning Burnett was killed. Triana Derrick, Burnett's girlfriend, testified she dropped her boyfriend off at The Summit. “He was picking up a car from someone so he could go to church with his mother,” she said. When she called Burnett's phone a few minutes after she drove from the parking lot, she heard chaos on the other end of the line. “All I could hear was yelling and screaming in the background,” Derrick said. Bear found Burnett's body outside, she testified. Baleria Casanova said she was walking toward her apartment on Easter morning. “As I was going up the stairs, I heard shooting,” she said. However, neither Smiley nor the residents of the complex saw McNair shoot Burnett – a point emphasized by defense attorney Ryan Gardner. Bear said she saw a man running away from the area where Burnett was shot but couldn't describe him. Testimony is expected to continue this morning, and the trial is expected to end today.